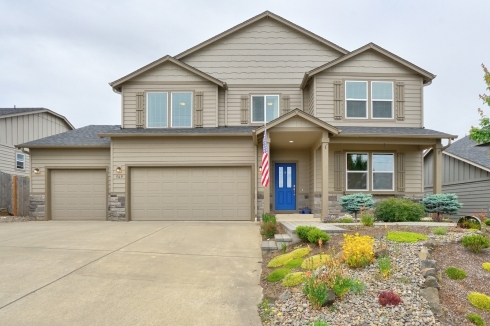 You’ll love this spacious West Salem home that is perfect for everyday living and entertaining. There is a formal dining room, family room with gas fireplace that is open to the kitchen featuring beautiful cabinetry, granite counters, a dining nook and a huge walk-in pantry. The large master suite has a gorgeous bathroom with a soaking tub. Enjoy movie nights with family and friends in the theater room and BBQs on the deck in the fenced backyard. Too many great features to list, schedule your showing today! Click here to view the 3D tour!